A wooden honour roll commemorates those from the Swan Boys Orphanage who served in World War One. 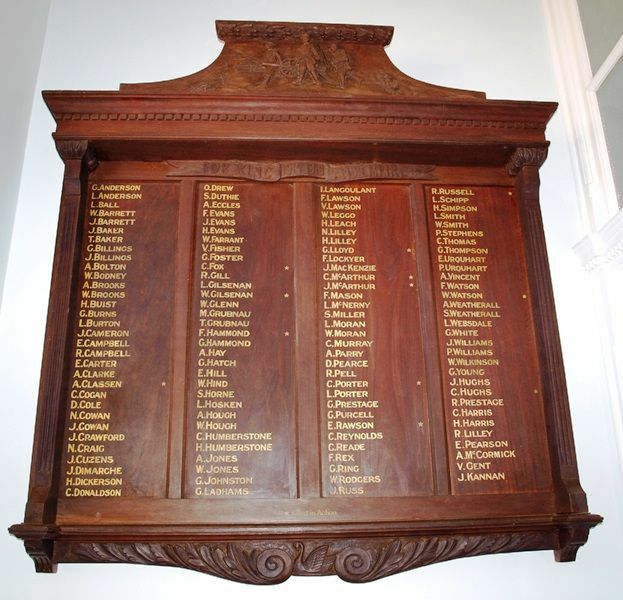 The Honour Board was unveiled by the Governor of Western Australia on the 10th August 1918. There are 127 names on the board with 12 boys marked as having died in service. During research it has been discovered that 20 boys actually died overseas in service. Six boys enlisted but were discharged before active service. One boy was found to have served but has not been listed and 2 boys served in World Wars One and Two. The Swanleigh site was formerly a Hostel for Country Children (1960 – 2010) and as an Orphanage (1876 – 1959).